Let us come to you! We partner with local gyms and businesses to not only educate but to bring our most popular and trending products to your members and employees. Gym affiliates also benefit from exclusive offers and discounts. Don't see your gym listed? 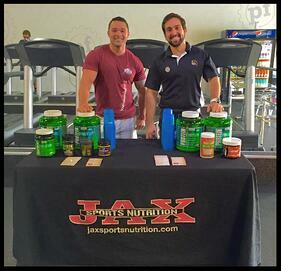 Contact your gym today to request a Jax Nutrition Sampling!